THE threat of rain all day in Airlie Beach yesterday did cast doubt on the annual Rotary Carols by the Beach Christmas concert. But organisers needn't have worried. 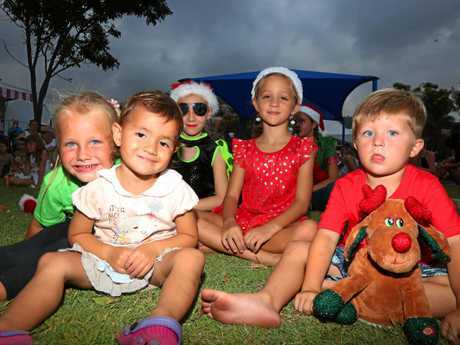 The rain held off and as expected crowds flocked to the Airlie Beach foreshore to enjoy a festive chorus of carols to bring in the Christmas season. The excitement of the children was palpable as they received last minute instructions from their teachers backstage. Then their big moment finally arrived. 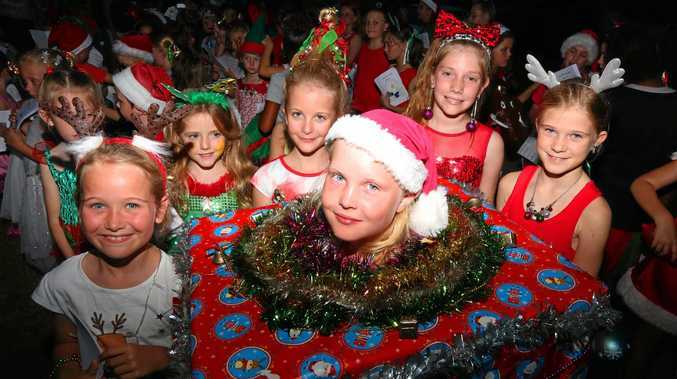 All the practice by the Cannonvale State School kids was evident in their harmonies as they took to the stage to perform all the Christmas favourites accompanied by the Proserpine Citizen's Band. As the evening progressed, the crowd of children gathering at Santa's chair grew before the man himself made his appearance to the sound of "ho ho ho”. He was soon surrounded by children, all eager to place their Christmas orders and receive a Christmas lolly bag. Merewyn Wright of Rotary said it was decided to not set up the big stage because rain was on the cards and it would have been too difficult to move to an alternative venue if the heavens did open. 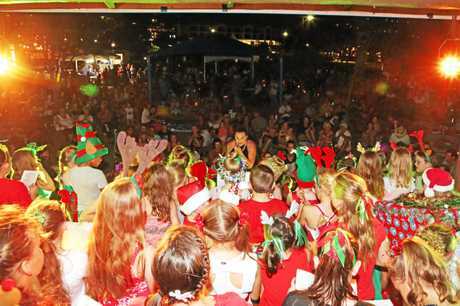 The Carols by the Beach in the Whitsundays has been running for 27 consecutive years and was for a time run by the Whitsunday Chamber of Commerce before the Rotary Club of Airlie Beach took over more than 10 years ago. 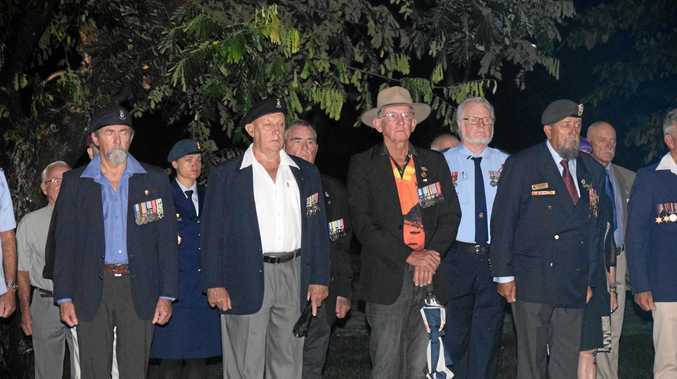 For the first time this year at the conclusion of the concert the lights of the big community Christmas tree at the Airlie Beach cenotaph were officially turned on. At the same time fireworks lit up the night sky at the Airlie Beach foreshore. Rotary on the night thanked the Whitsunday Regional Council and the team at Airlie Beach Music for their part in making the night such a huge success.